Came attached to a PC Heatsink , by simply and efficiently clipping on ..... I needed this for a special project , and used a little circuit to sense temperature , and then , increase fan speed to cool the heatink . All at low fan speeds ........ The fan is lovely and quiet and very efficient .....works well ! 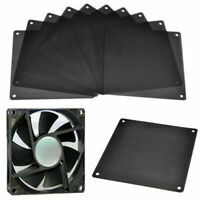 Excellent quality of fan, fast, quiet at low RPM and reliable! Comes with a 6 year warranty so can't go wrong really but used this brand for over a year now and haven't had any problems with this fan yet so a good sign! Yes I would recommend this fan to anyone!